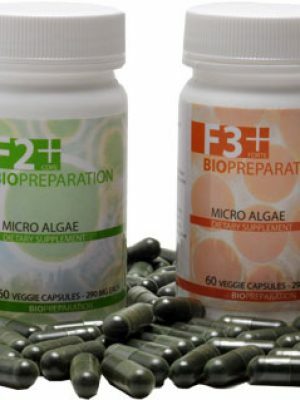 Protects cells and increases antibodies to fight disease. Detoxifies the body by purifying the blood and removing waste from the liver. 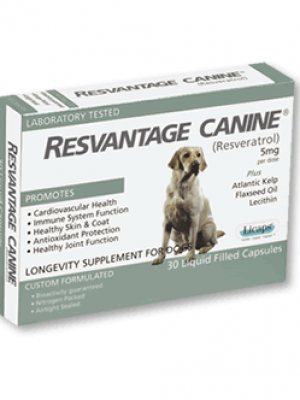 Helps to improve organ and tissue function and restore a strong immune system. Eliminates parasites throughout the body. Increases energy and builds strength. Dosage and additional information below. 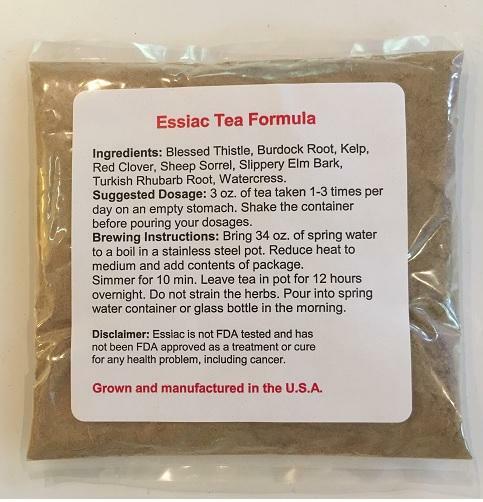 Essiac Tea is often thought of as one of the best natural weapons against cancer. This incredible tea gets its name from Canadian nurse Rene Caisse’s last name spelled backwards. Rene observed a Ojibway (Native American) medicine man use a blend of four specific herbs on a cancer patient in the hospital where she worked. She was so amazed at the results that she decided to further research the herbal blend. Rene along with Dr. Charles Brusch did extensive research at the Brusch Medical Research Center in Massachusetts on the tea and its tremendous health benefits. Their eight year research concluded that one particular tea formula always seemed to exceed the others. Our particular formula includes four herbs used in the original formula, plus four additional herbs. Our herbs are all organic, chemical free, pesticide free, non-irradiated, 100% fresh at all times. 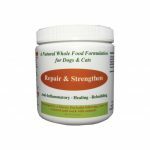 Use: This product targets the immune system and supports immune response, essiac tea is good for dog tumor. It also rids the body of toxins. Essiac tea dosage for dogs may help protect against disease. In order to get the most from the tea and to lesson the chances of nausea: give 2 hours before a meal or 1 hour after a meal. Ingredients: Blessed Thistle, Burdock Root, Kelp, Red Clover, Sheep Sorrel, Slippery Elm Bark, Turkish Rhubarb Root, Watercress. 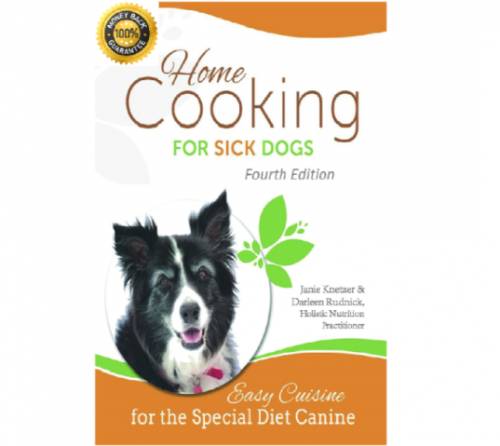 Precautions: Essiac Tea dosage for dogs should be taken on an empty stomach if possible. It may cause nausea, diarrhea or digestive discomfort if consumed to close to meal time or if drinking large amounts of water around the same time. Start with smaller dosage and work up. **Essiac is not recommended for dogs with renal failure** Results vary and aren’t always typical. Note: However, if your pet won’t drink the tea by itself, you can add the tea to the food wet or dry because of essiac tea is good for dog tumor also. It’s a matter of getting the tea into your dog. You can also add a little warm chicken broth to the tea vs water as a way to entice your dog to drink it. Start with 1/2 of recommended dosage and work up to the full dose over a period of 5 days. 1-15 lbs. – ½ oz. daily. TAKE NOTE: You want the tea to stay fresh in the refrigerator, so you don’t want to make too much at one time. For dogs over 85 lbs, you can purchase the 4 oz. bags which make more tea at one time and dogs this size require more tea.